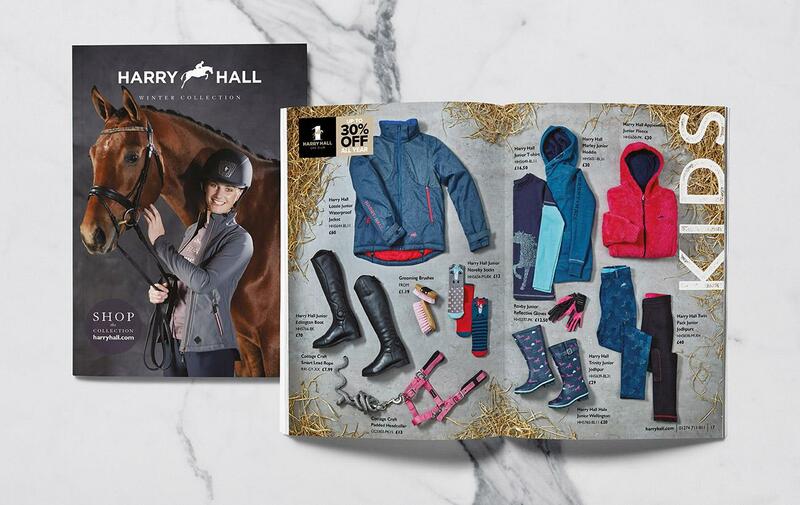 We started working with equestrian clothing brand Harry Hall earlier this year on the One Club, a new membership club for the brand, targeting consumers with exclusive offers, discounts and insurance. In November, we were tasked with creating a 30 page mail order catalogue in time for Black Friday ….with photography and design to be turned around in just a week! Our work spanned full concept design and creation, help with planning product layouts and catalogue flow, two days in our photography studio shooting the products on various seasonal backgrounds, then helping our client through the print production process. 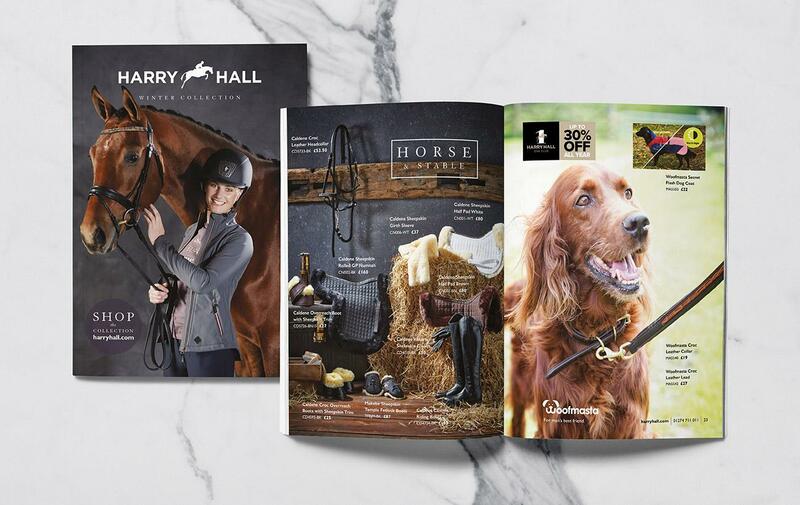 Another great example of us delivering a beautifully designed catalogue at exceptional speed … and with a very happy client to boot!